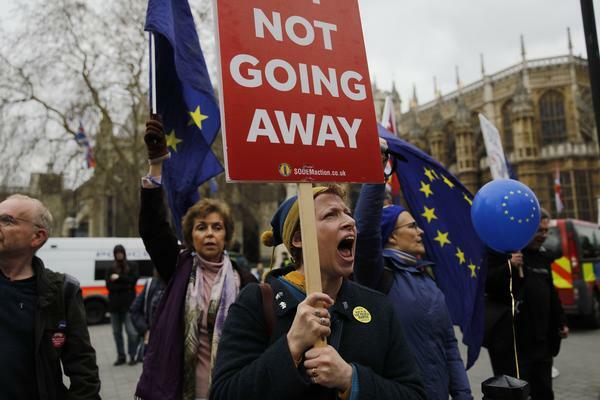 Demonstrators carry EU flags and shout slogans outside the Houses of Parliament in central London on March 21. 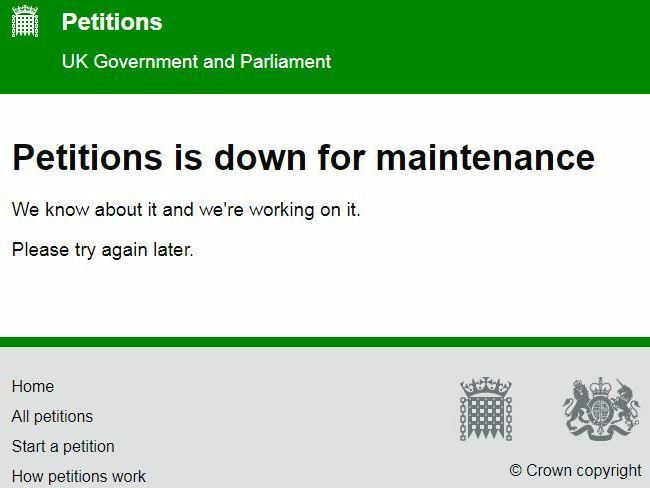 A call to cancel Brexit is drawing the most support the U.K. government has ever seen for an online petition, causing the Parliament-run website to crash repeatedly on Thursday. What is Article 50 anyway?